It used to be that everyone consumed information primarily from traditional media (like TV, radio, and print), however, the prevalence of the Internet has leveled out the playing field on a global scale where even ordinary citizens can create their own content and share it with their followers in a matter of seconds. 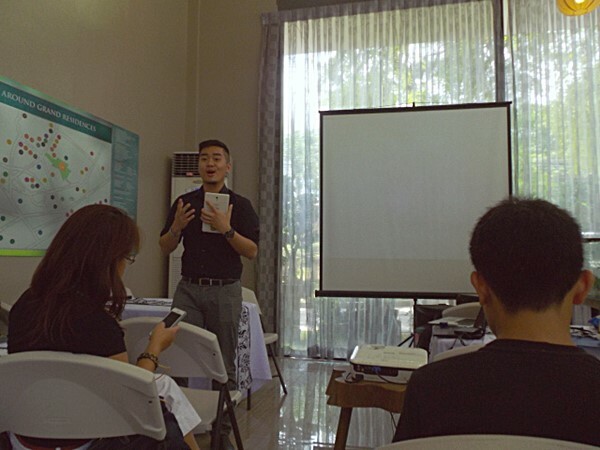 Such opportunities were the bulk of our Saturday afternoon session at the Grand Residences showroom in Banilad. Mr. Ryan Bernard Go, President of Grand Land, Inc. officially started the Blogger’s Day Special with an optimistic insight on how we can use online platforms like websites, blogs and social media to promote Cebu as a top tourist and real estate destination in the Philippines and soon, in Asia and the world. 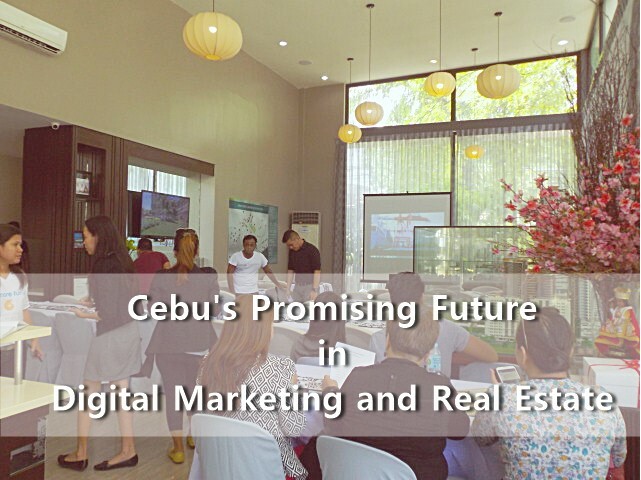 This would be Grand Land’s first ever meetup that gathers Cebu-based bloggers, digital marketers and real estate professionals together. For those making a living off of the Internet, you probably heard this familiar tenet–“Content is king”, tossed around in digital marketing before. And you could only nod in agreement because it’s true. Everything nowadays, boils down to content, especially relevant content, that draws people to spend majority of their time online. Content is King or is it, really? 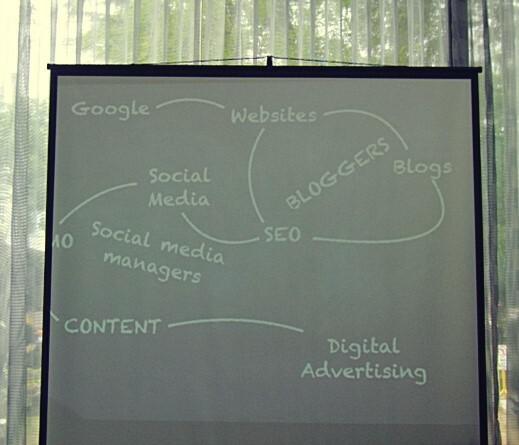 Mr. John Mendoza, a Biology graduate turned photo blogger and Creative Director of Creative Republiq, was the first speaker to discuss about the state of digital marketing landscape and how we can leverage the next gold rush via Web 2.0 by creating niche content on things that we’re passionate about. He also quoted some interesting stats: Approximately 44 million Filipinos are now online (out of the 100 million current total population in the Philippines) and 6 hours per day is the average time spent on the Internet. Almost half of the population is now online and it will continue to increase as more Filipinos are now going mobile, thanks to the surge in cheap mobile phones. If your business or passion is not found online, think of all the opportunities you’ll be missing. 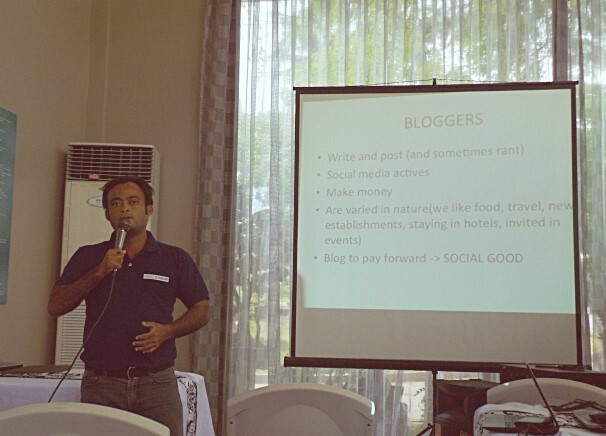 Mr. Bjorn Bernales, the last speaker to touch base about online communities, spearheaded and was himself part of notable communities here in Cebu, such as Google Business Group Cebu, Cebu Blogger’s Society and Cebu Blogging Community. I am also an active member of the Cebu Blogging Community and I couldn’t be thankful enough for all the support given by the other community members to me and this struggling blog. If you think blogging is hard, try doing it alone without any support from a community. Getting the word out about your blog or business will be excruciatingly slow and downright disheartening if you don’t have like-minded people to help you promote it. There’s no denying it. Cebu is now ripe for major property investments as it enjoys a burgeoning economic boom mostly coming from real estate and tourism. Everywhere you go, you’ll find major construction going on. Each year, there are new tourist spots and establishments to explore in the metropolis and beyond. According to Ms. Maricor Dacut, Grand Land’s Sales and Marketing Manager, this upward swing in the real estate market was what inspired Grand Residences, their flagship resort-themed condo residential community located in Cebu City. Most of their buyers are Overseas Filipino Workers and foreign nationals from Korea, Japan and USA. Apart from Grand Residences, they are also developing another resort lifestyle condominium project called Amani Grand Resort Residences in Mactan and Davao. City Homes is their townhouse community project in Mactan, Mandaue and Minglanilla. Before we ended the program, Mr. Go left us with an important message: blogs can only be successful when it gets supported. If we really are serious about putting Cebu on the map, we need to help one other to succeed. As bloggers, we can help promote anything interesting about Cebu by blogging about the place, the people and our vibrant culture. Rest assured, this blog post won’t be the last time you’ll hear me to talk about Cebu, my beloved hometown.